1. Challengers of the Unknown – Four men survive a plane crash unscathed, decide that since they are "living on borrowed time" they should band together for incredible adventures. 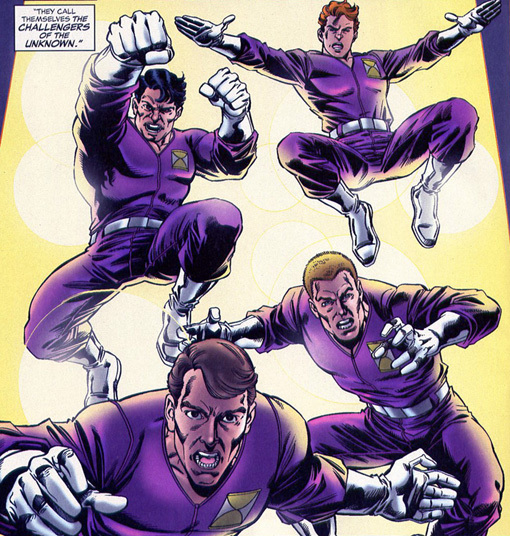 They dealt with threats from space and from the paranormal. Of course they have to battle Multi-Man. He has the ability to return from the dead with a different, random superpower. Think of X-Files with more super heroic tones. 2. 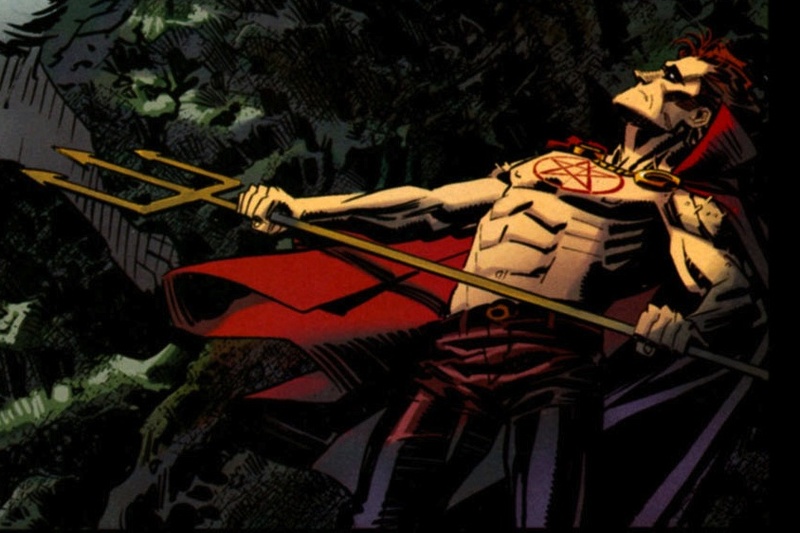 Hellstrom – “The Son of Satan!” He became an occult investigator and exorcist, battling minions of his father. Hellstrom was in a monastery, hoping to become a priest when he found out about his true heritage. Of course, we already know who would be the villain of this movie. 3. 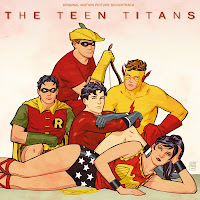 The Teen Titans – I would prefer the original group: Robin, Kid Flash. Aqualad, Speedy and Wondergirl. I would also like to have Hawk and Dove (preferably, the original Dove but Dawn Grainger would be fine). It would be tricky to handle this because they would want to make the movie hip, but it shouldn’t be so hip that the movie would be dated a few years down the road. Just read their early adventures with all the slang. You can tell the time in which it was written. 4. 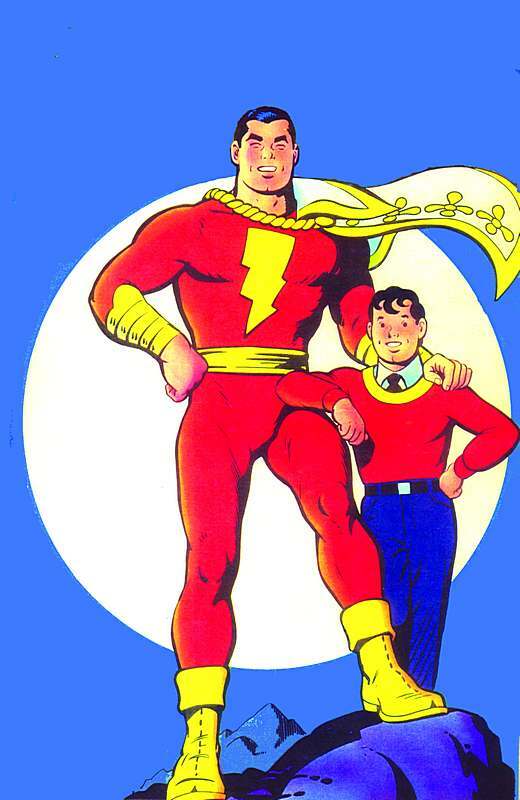 Captain Marvel (Shazam) – A boy who becomes a champion of good by the wizard Shazam. Whenever Billy speaks the wizard's name, he is struck by a magic bolt of lightning that transforms him into an adult superhero empowered with the abilities of six legendary figures. If handled similarly to the Harry Potter movies, I think this would work. 5. Captain Marvel (Mar-vell) - He is a solider of the Kree race who had come to Earth as a spy before becoming it’s protector. With rumblings of Krees and Skrulls being introduced in the Avengers movie, it might make sense to bring him onlong as well. Of course, I’m biased because he is my favorite hero.